Today I'm going to start by showing you what I scrapped this month, and then I'm going to show you some pages I scrapped a while ago but I couldn't show you because the templates hadn't been released yet. 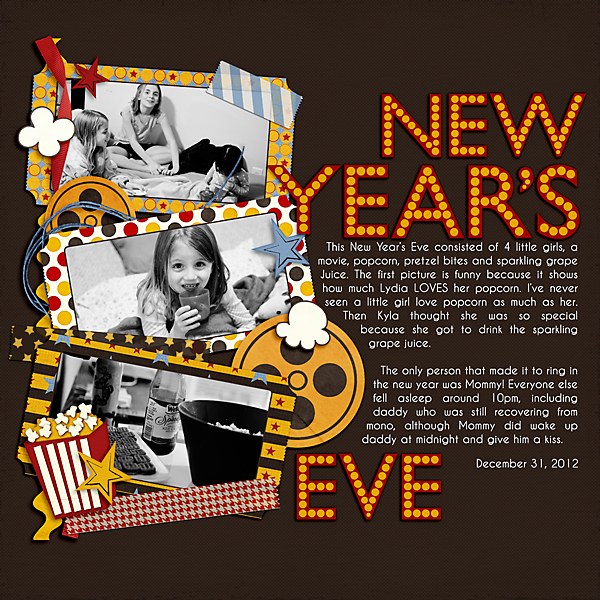 Here's a page I scrapped of our last day in 2012. 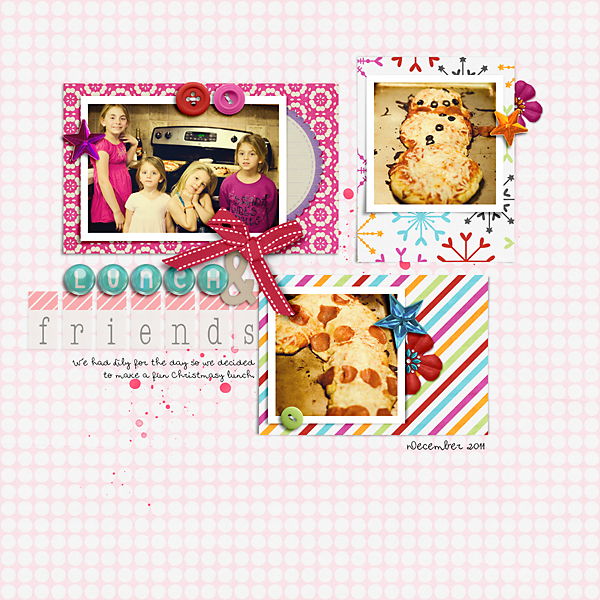 Using Now Showing Templates and other Now Showing Products from the Scrap Orchard Designers. Then the rest of my time scrapping I spent focusing on doing some more pages for Lydia. I'm trying really hard to get a lot of our pics from China scrapped. Using More Double Templates, Great Escape by WMSquared and Leavin' on a Jet Plane by Jenn Barrette and Laura Banasiak. Here are some pages I scrapped back in November and December (2012) when I was working really hard to finish up my 2011 album. I made a lot of these pages and then turned them into templates later on. I had such a hard time keeping my layouts to myself! Using More Double Templates, Fall Splendor (the bundle) by WMSquared, Chrome Alpha by Dream Big Designs, Krafty Paper Bundle by Happy Scrap Girl, and Sticker Bits Alpha by Tracie Stroud Designs. 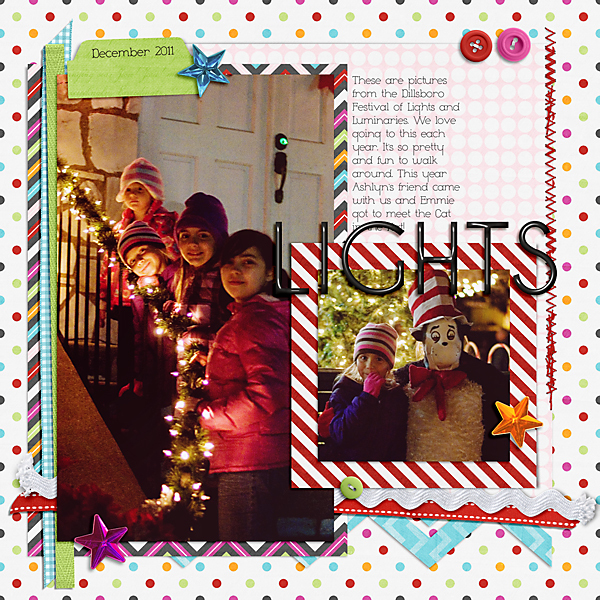 Double Monthly Challenge Templates 1 and Hip Holiday by Bella Gypsy Designs. 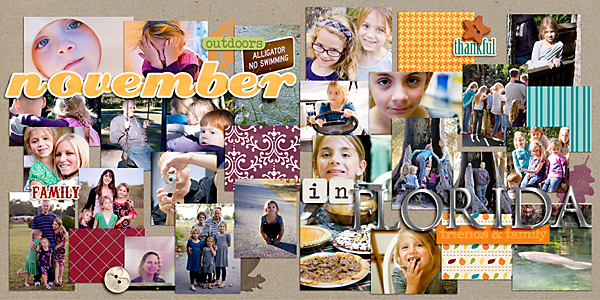 Double Monthly Challenge Templates 1, Hip Holiday by Bella Gypsy Designs, and My Favorite Things Alpha by Ziggle Designs. 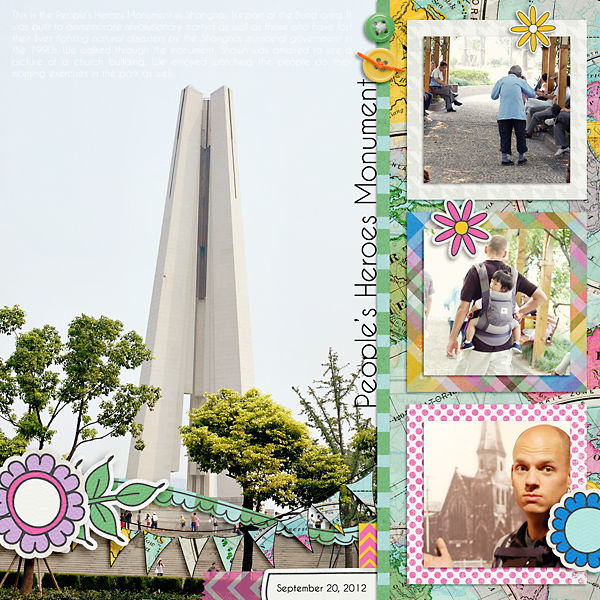 And this is probably one of my favorite layouts of all. I had several "leftover" pictures from 2011. They were pictures that I really wanted to scrap but I didn't necessarily want to scrap a whole page for each picture. So I came up with this! 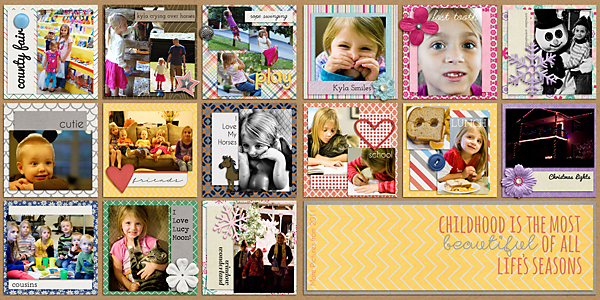 Using More Double Templates, Carefree Bundle by Amanda Heimann Designs and then a few various elements from other kits found over at Scrap Orchard. Hope that inspires you to just keep scrappin' along with those photos. Welcome to my blog! 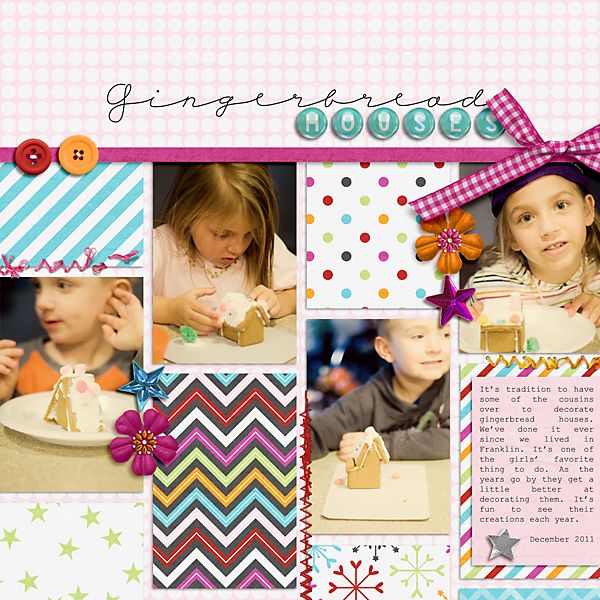 I'm Liz & this blog is a place for me to share my digital scrapbooking templates, tutorials, freebies, & more. Hope you learn something while you are here & are inspired to scrap those memories! 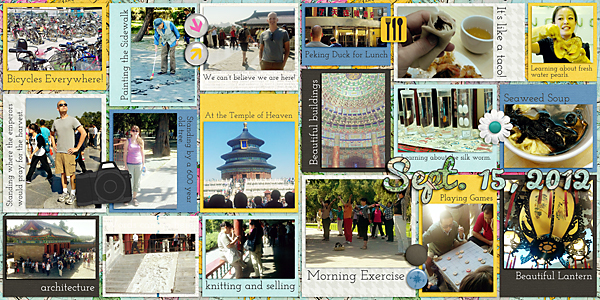 Visit Scrapping's profile on Pinterest. Simple & Sweet Life Templates 4 AND RETIREMENT SALE!